designs for the creative soul. TWO DECADES OF EXPERIENCE and A LIFETIME OF PASSION SUMMARIZE THE INTEGRITY AND STORY BEHIND NMD HANDMADE. NYAMANI DESIGNS BRINGS THE VISION of intriguing wearable art INTO FUITION through timeless designs brought fourth through handcrafted creativity. NATISHA PROVIDES THE PERFECT fusion of craftsmanship & artistry balanced with form and function makING every NMD piece a statement of beauty & unique expression of individual & personal style. A collection of jewelry for men featuring semi-precious stones, silver accents and metal lion charms. Original designs created with the creative soul in mind. Shop the NMD signature collection of handcrafted jewelry and crochet designs that are as unique as you are. Choose from a wide array of design elements to create an accessory handmade to order via your specifications. With customization options added to an original design such as color, crystal embellishments, yarn choices, and metals, the possibilities are endless, and up to you. Through private commissions, the clients vision and individuality can be expressed in a yell through a statement piece or even a whisper depending on their personality. I marry this with my skills and master craftsmanship to create a piece as unique and individual as the clients own personal signature. 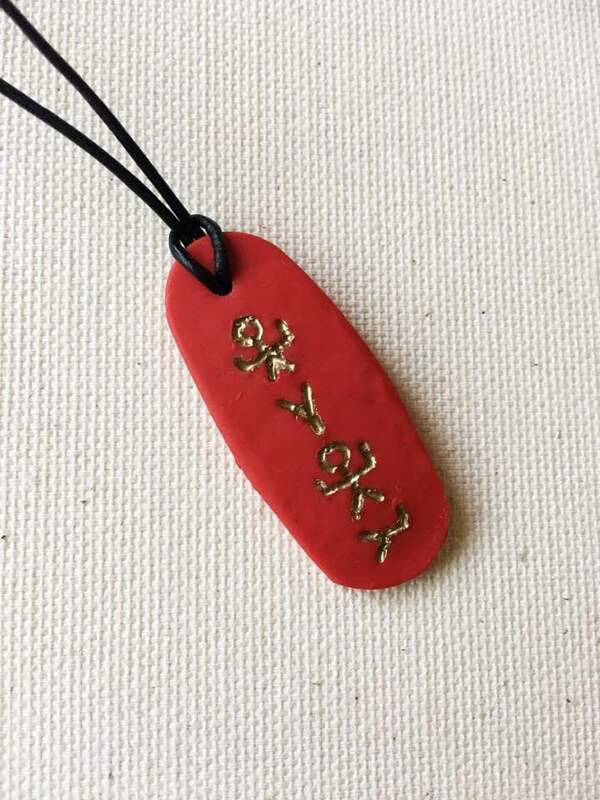 Minimalist jewelry to glorify the ineffable name of God. A collection of handcrafted jewelry developed and designed to promote and glorify the true name of God. I make each piece by hand in my home studio utilizing various mediums such as clay, semi-precious stones and precious metals. The results produced are one of a kind, contemporary, minimalist jewelry. An age old craft with a modern twist. Not your grandma's crochet. With over 20 years of experience in crochet design and fiber arts, I thought of ways to redefine typical crochet patterns, which were primarily granny squares and puff stitches, and give them a modern twist. After many years of learning and perfecting my craft, I discovered my ability to produce wearable art and designs unique to my style of expression. I work tirelessly to take every single vision and design that I am given and them turn into reality. Statement pieces from an unlikely medium. Free flowing individual lace strands, graduated lace beading, striking medallions, intertwined netted motifs and see through silhouettes are just some of the intricate details found within the lace used in my jewelry designs. Handmade style for the distinguished gentleman. 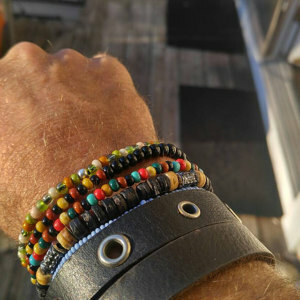 Exquisitely designed & carefully handcrafted men's bracelets featuring natural elements such as precious metals, semi precious stone, wood beads and hand woven silk. Each piece is made using only the finest materials. Handmade knitwear for every season. From chunky hats, gloves and scarves to lightweight beach cover-ups and beautiful crocheted jewelry and handbags, NMD crocheted accessories has you completely covered. Excellent quality and price. I will be ordering again. and exactly as pictured. Incredible hand made detail...one of a kind for sure! Very happy =0)"
and beautiful necklace. A real work of art. well packed. AAA+++"
Gorgeous earrings. Worked with me on a few issues with my pair....quickly and kindly. Highly recommend the earrings and the seller. - N.M. I made a late order and asked if the earrings could be shipped in time for friend's bday- and they came on the exact date I requested! Friend loved the earrings. huge, gorgeous, and so unique...awesome! I am in love with my made to order necklace! "It's beautiful! He loved it." lightweight; received many compliments; statement piece! Be unafraid to express the creativity that is inside of you.